DLSZ is a Catholic school. Non-Catholics are admitted provided they participate in all religious activities that are required of the students. No exemption shall be granted by reason of membership in or affiliation with a different religion. A student’s application will be given due course when the student-applicant meets all the academic requirements and has none of the disqualification prescribed by the School, the Department of Education 2010 Revised Manual of Regulations for Private Schools in Basic Education and the DLSZ Student Handbook as amended and such other rules promulgated by the School. The school reserves the right at any time to refuse, to admit, or to re-admit students under certain conditions as enrolment in DLSZ is a privilege. The applicant must have a general average of at least 85% with no grade lower than 80% in any subject and in conduct during any grading period. Former DLSZ students who left without conditions and have been out for at least 2 years are classified as transferees when they come back and must undergo the usual procedure for application. Venue: 5th Floor, Spark Building, De La Salle Santiago Zobel – Vermosa Campus in Vermosa, Pasong Buaya 2, Imus City, Cavite. Proof if parent is an alumnus/alumna of any De La Salle school. Photocopy of Identification Certificate as Filipino Citizen issued by the Bureau of Immigration (for applicants with dual citizenship). Nationality will be based on the applicant’s documents at the time of the application. Bring all academic records (report cards and/or transcript of records) to the Office of the Philippine Embassy/Office of the Consular Official in the country which has jurisdiction over the issuing school and secure Authentication Certificate. All documents must have an English translation of the entries particularly the name of the student, subjects (with descriptions), grades and grade level. Bring authenticated academic records to the Department of Education for evaluation and secure a Certificate of Evaluation for proper level placement. All submitted documents in compliance with the entrance examination requirements shall become property of DLSZ and are NOT to be returned to the applicant. For summary, please view CHECKLIST OF APPLICATION AND ENROLLMENT REQUIREMENTS. Fill out the online Application Form and, upon completion, click “Submit”. Print Confirmation Slip and Data Privacy Notice Consent Form. Submit Confirmation Slip and Data Privacy Notice Consent Form to the Admissions Office, together with all the required documents. Bring original documents for verification. Pay the non-refundable Application Fee at the Accounting Office (Php 700 for Filipinos and USD 75 for foreign students). Present the Application Fee Official Receipt to the Admissions personnel to secure the test permit. Test Permit will be given only after complying with the requirements and procedures. All applications must be done online. Only applicants who have submitted complete requirements will be given a test permit. Payment of fees and submission of requirements shall be done at the Alabang Campus only. Test results are available online via the Application Portal. Telephone inquiries regarding the test results will NOT be entertained. Parents of accepted applicants should confirm enrollment on the dates indicated in the Acceptance Letter. Submit the accomplished Development Fee Form to the Admissions Office and pay the Development Fee (Php 50,000 for Filipinos and USD 2,000 for foreign applicants) at the Finance Office. This is a non-refundable fee made upon confirmation. Only Filipino students, however, are given an option to pay in two (2) equal instalments: Php 25,000 is paid upon confirmation of enrollment and the remaining Php 25,000 will be paid before the academic year ends. Submit the official receipt of Development Fee payment to the Admissions Office. FAILURE TO CONFIRM ENROLLMENT WITHIN THE GIVEN TIME FRAME MAY FORFEIT THE APPLICANT’S ADMISSION TO DE LA SALLE SANTIAGO ZOBEL SCHOOL. Additional payment which may be required upon enrollment aside from the Tuition and Other Fees. Upon recommendation by the Admissions Board or the Filipino Subject Area Coordinator, a students may be required to attend a Special Filipino Class and will be charged the Special Filipino Fee. Foreign students required by the Bureau of Immigration to apply for a Special Study Permit will be charged Php 8,000. For inquiries, you may visit the Admissions Office located at the Basement of St. La Salle Building, Mondays to Fridays, from 7:30 AM to 11:00 AM and 12:30 PM to 4:00 PM or you may call at (632) 771-3579 local 712, 790, and 792 or (632) 809-1840. 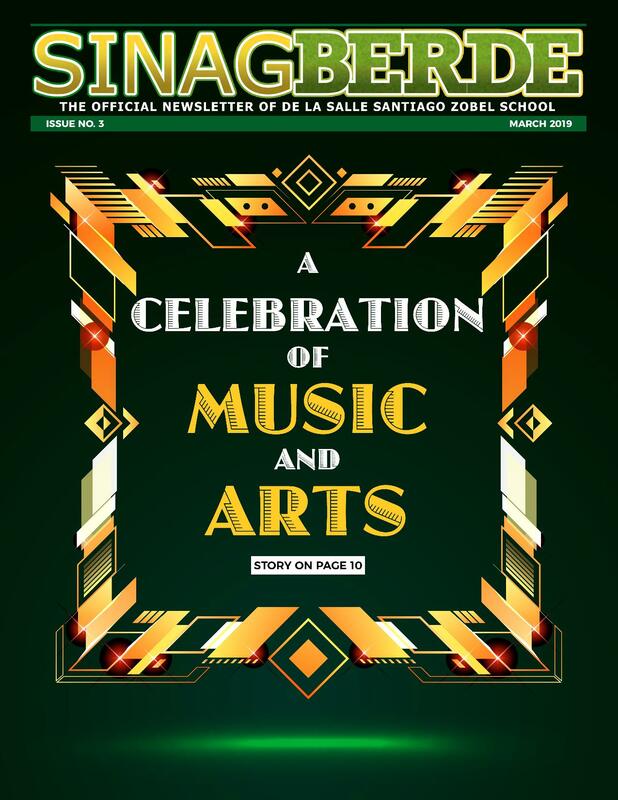 You may also email info@dlszobel.edu.ph.